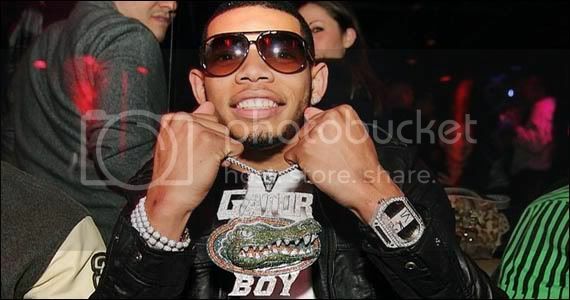 Updated on Jan. 10 at 4 p.m.
A pair of former Florida Gators were elected Tuesday to the NFL Pro Bowl fifth-year Cleveland Browns cornerback Joe Haden and fifth-year Pittsburgh Steelers center Maurkice Pouncey were both chosen to participate in this season’s all-star game. Update: Two weeks after the announcements were initially made, Miami Dolphins center Mike Pouncey – who played right guard all season – was selected as a replacement for San Francisco guard Mike Iupati. Haden and Maurkice Pouncey each received lucrative five-year contract extensions from their respective franchises this offseason. The Browns agreed to pay Haden $68 million ($45 million guaranteed), while the Steelers and Maurkice Pouncey agreed on a $44 million compensation package ($13 million guaranteed). Haden, the No. 7 overall pick in the 2010 NFL Draft, is in the midst of one of the best campaigns of his career. Already considered one of the best cornerbacks in the league, he has shut down talented opposing receivers while registering a career-high 69 tackles, three interceptions, a forced fumble and two fumble recoveries. He received his second-straight nod after earning his way onto the Pro Bowl for the first time last season. 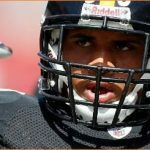 Maurkice Pouncey, the No. 18 overall selection in the 2010 NFL Draft, was recognized for the fourth time in his career after missing the 2013 campaign due to injury. Mike Pouncey, the 15th pick in the 2011 NFL Draft, will play in his second-straight Pro Bowl despite playing out of position at right guard in 2014. 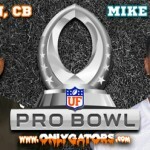 A total of 22 former Gators have been picked for the Pro Bowl. 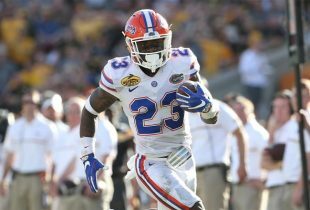 Florida players have received 63 total nominations to the game and have been honored with a selection to the Pro Bowl in 38 of the 45 years it has existed. It is also the sixth-straight year that a former Gators player has been recognized. The 2015 Pro Bowl – set to be played on Sunday, Jan. 25, 2015 in Glendale, Arizona – will be the second NFL all-star game not played with teams divided by conference (AFC vs. NFC). Instead, eight-time Pro Bowl wide receiver Cris Carter and Hall of Fame wideout Michael Irvin will choose the teams in a fantasy draft format. There will also be two-minute warnings every quarter, no kickoffs and adjustments to both the game and play clocks. The picture of Haden is hilarious. What is he? Deion Jr. with all the bling? I guess I’m too old fashioned, but I’d be embarrassed to be seen wearing such an ostentatious display, there’s something vulgar about it. I understand women’s desire for jewelry, so much of their self worth is based on how they look, but men? I never will understand it. A lot of these dudes come from nothing, so they want you to see what they’ve earned and how far they’ve come. Plus, it feels good to look good (though we all have varying tastes).